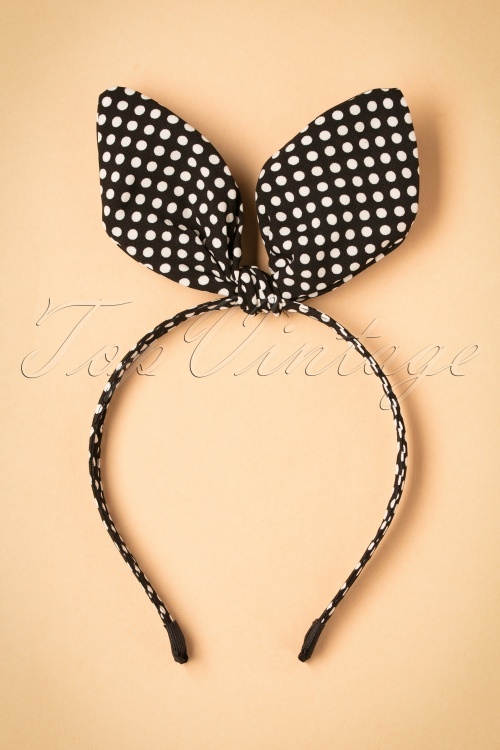 Finish off your retro look with this 50s Bow Polkadot Head Band in Black! 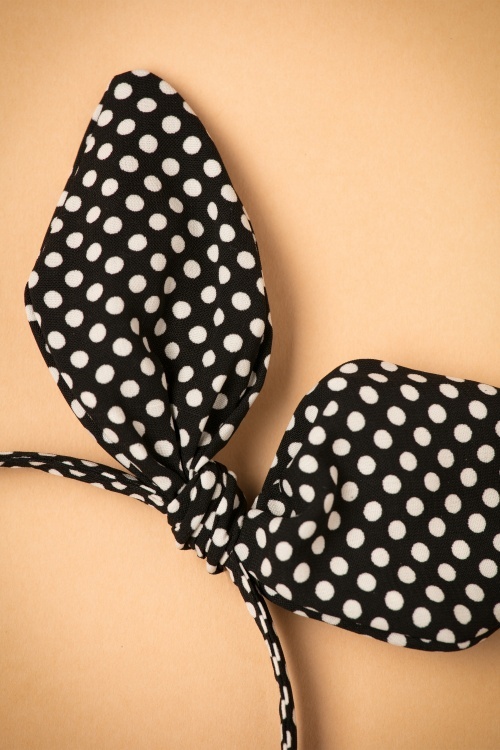 Spot the dots! 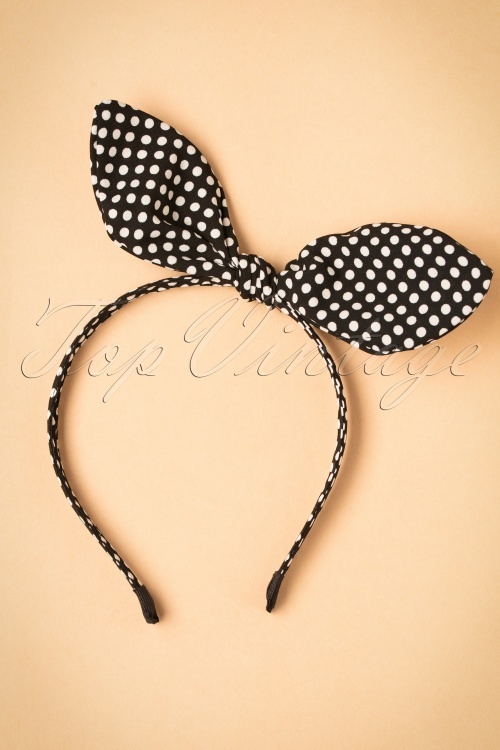 With this narrow hair band you'll create the most beautiful hair styles in an instant! 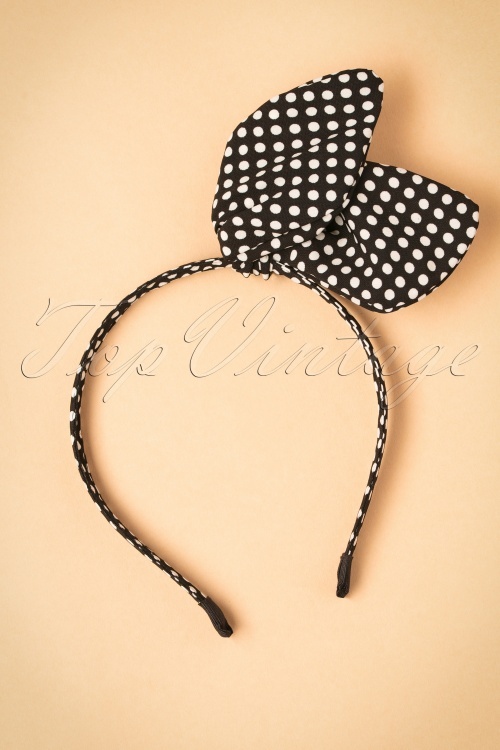 Made from a black fabric that features a polkadot print in ivory white and a playful bow, finished off with moveable ears that you can bend in any shape you like and stays in place all day. Must-have!